Gusto Da Gianni is a modern waterfront restaurant with a taste of Italy. With a relaxed atmosphere, cool breeze, an extensive Italian menu and staff that speak with an Italian accent: this is as close to Italy as you can get. It brings back all the happy memories I had last year on my trip to Italy. Coincidentally, I was meeting up with a friend and showing her the photo book from my trip to Italy. Our excitement and appetite grew as we went through the pictures of Italian sights and food. We ordered Bruschetta Di Pomodorini ($12.50) to start our meal. 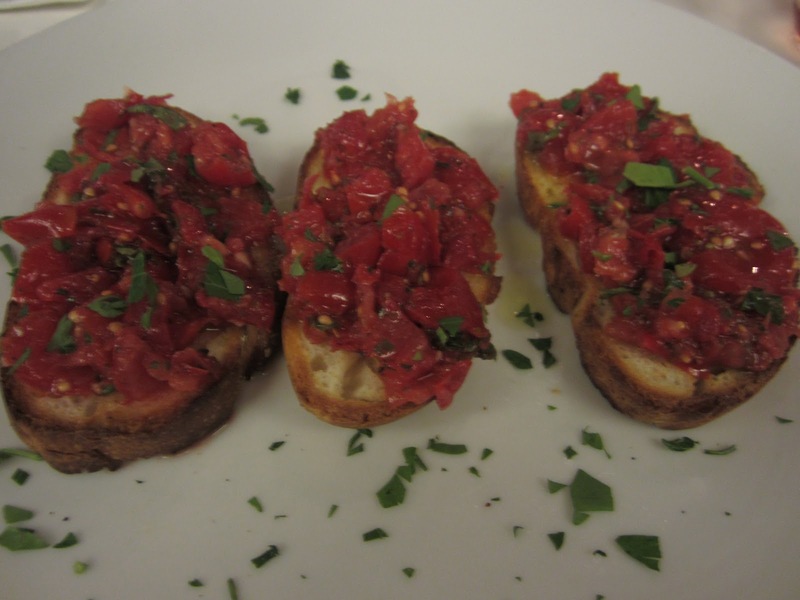 It is a classic entree with three pieces of crusty Italian bread with fresh tomato, basil and olive oil. 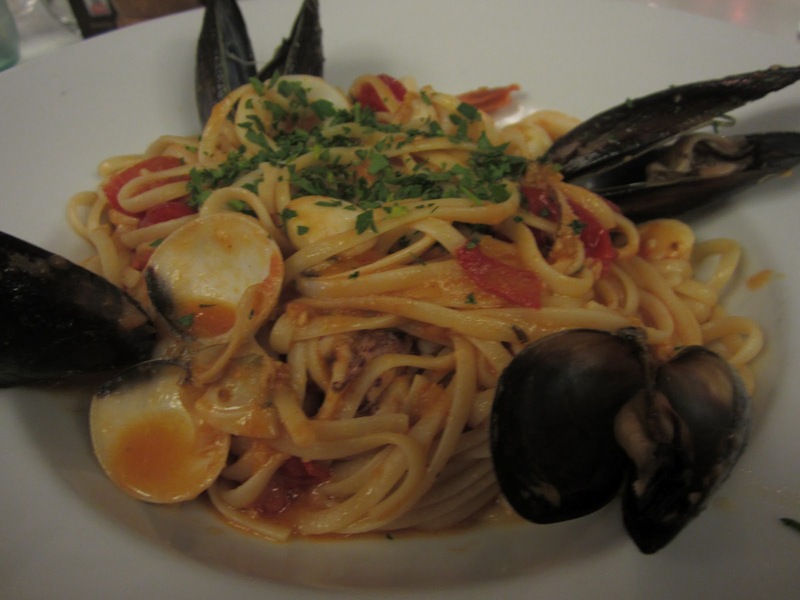 Being a seafood lover, I ordered the Linguinie Allo Scoglio ($27) for mains. It was a generous plate of linguini with a seafood mix of clams, mussels, scallops, calamari and prawns on a light garlic, chilli, cherry tomatoes, parsley and olive oil sauce. The linguini was cooked al dente but I think the sauce could have done with a bit more seasoning or chilli. My friend ordered the Cannelloni Di Pollo ($25). 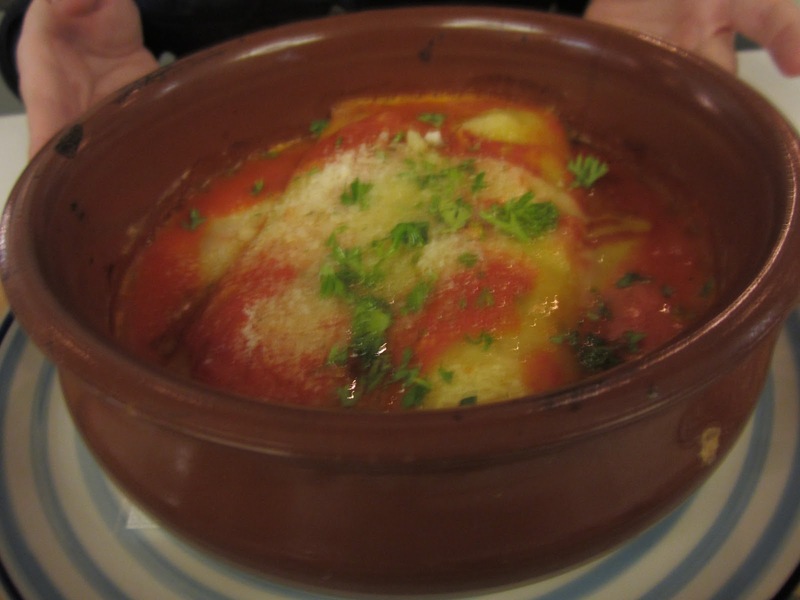 It was a bowl of homemade cannelloni stuffed with poached chicken ragout with Napoli and Bechamel Sauce. It looked rustic and delicious. 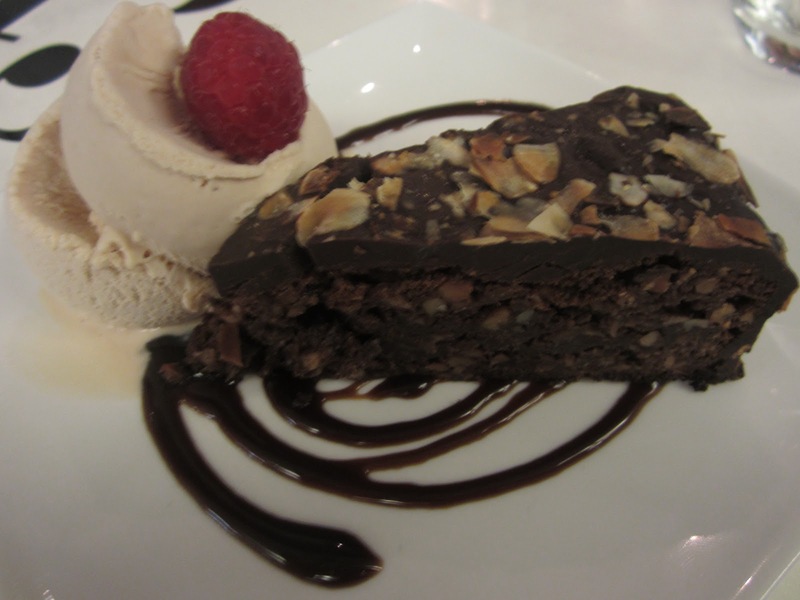 For desserts, we shared Chocolate Almond Tart with Hazelnut Icecream ($15?) 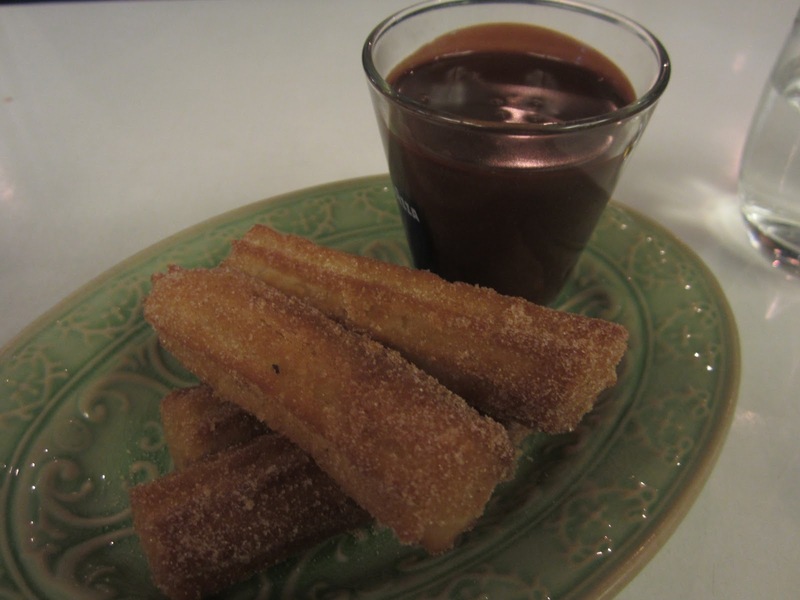 and Churros Con Chocolate ($15?). I found the chocolate tart a bit too rich and hard to cut through. However, I really enjoyed the hazelnut icecream. As for the churros, it was very crispy on the outside but soft on the inside. The chocolate dipping sauce was great. You know you are having a good time when you lose track of time. I am used to having a quick dinner, so sitting in a restaurant for 2.5 hours without realising the time tells a lot in how much I enjoyed being there.